Gamers with a hawk eye over at PocketNews have spotted some curious paperwork for an unknown PS3 model called the "CECH-4001X." 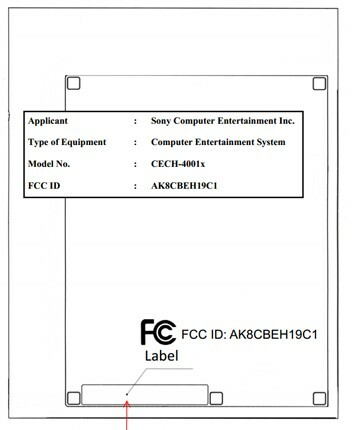 The current, existing slimline PS3 is the 3000 series, and it has its FCC label in a different location to that shown in the new filing. This is leading Eurogamer to suggest that this could be a "Super Slim" variant, which that site says has cropped up in separate rumors circulating before Gamescom next month. Of course there is also speculation over the magic "4" in the model number. While there is no hard evidence that something is going to come out, I'll keep an eye out.